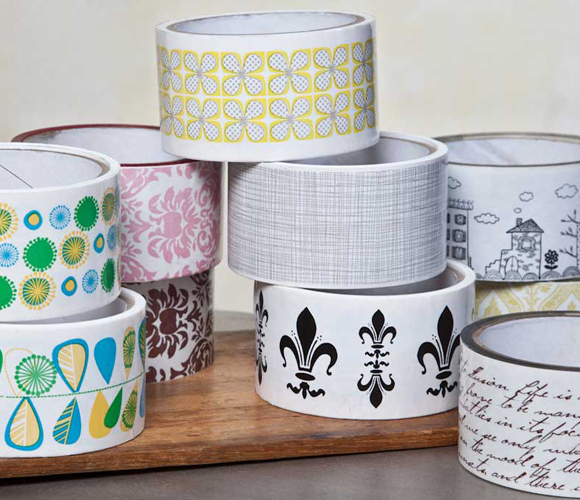 Fleur De Lis, Cityscape, Attic Floral and Old Script Tape. We are sooo excited to share our new patterns with you. We tried to include something for everyone's taste and yes, some of these came from your ideas! So tell us: Which one is your favorite? Comment here after the blog post or on Facebook, or Tweet about it and use the #NEWpatterns hashtag. I LOVE the script one !!! How cool is that ! I just got the city scape one ... been wanting one of those for a while! Love the script tape. Hope to see more styles.